4081, Electret Microphone from DPA Microphones in the d:screet series. 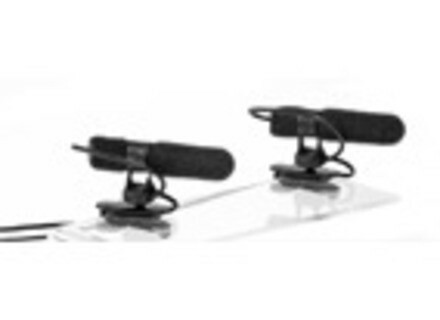 The DPA 4081 Supercardioid Miniature Microphone is a directional condenser microphone primarily intended to use forlow profile, discreet recordings in the field or as all-round microphone for instrument miking. Each 4081 is an integrated system combining microphone, windscreen, shock mount and cable management system. The IMK4081 Instrument Microphone Kit offers the possibility to mount a supercardioid condenser microphone close to or at an instrument with either the enclosed clip or magnet. The 4081 combines high isolation on stage with natural sound imaging, DPA says. The SMK4081 Stereo Microphone Kit combines two DPA 4081 directional microphones providing a flexible stereo recording solution. To create an optimized stereo pair, the microphones are selected to have identical sensitivity within ±1 dB at 1 kHz, according to the company. There are two interchangeable mounting options included: clip-on and magnet mounts. DigiTech Vocalist Live 5 DigiTech has introduced the newest addition to the Vocalist product line, the Live 5 processor. PreSonus 1Box Recording Kit Presonus is offering a helping hand for beginners in music production, with the 1Box Recording Kit. Meyer Sound Audio Training Webinars Meyer Sound has announced a series of online professional audio training tutorials as an extension of the company’s education program.